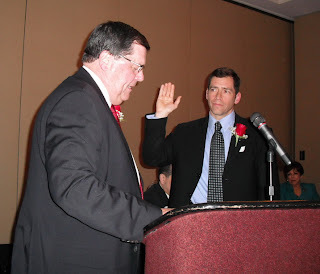 The El Paso County Medical Society hosted the installation of Bruce Applebaum, MD, as its 2012 president on Wednesday, Jan. 18, 2012. Bruce Malone, MD, president of the Texas Medical Association, was the guest speaker, and philanthropist Guadalupe de la Vega, founder of the FEMAP Foundation, was the keynote speaker. Medicaid HMO Expansion: Are You Ready?